The new neighbors were moving vans and glimpses behind curtains. 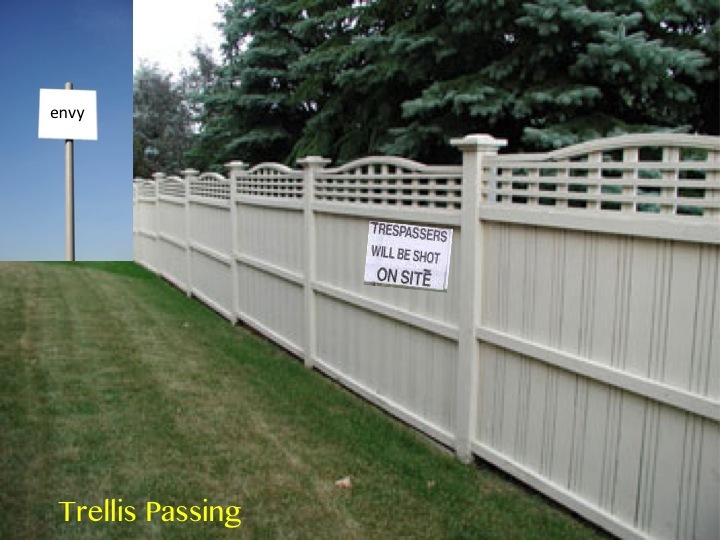 In time, they became an electronic fiction behind a white trellis fence. My dog could smell their vacancies. She was the first to tunnel under the fence, burrowing thawed peat moss and cedar. I followed, calling her name in the muck. On the other side, I saw her dive into their in-ground, the turf fleeing her fur to atomize chlorine, cerulean brown. I called but she was wading in the middle, a rippling furry epicenter orbited by brown and blue. August windows, buttoned up tight, damask and Venetian, dared me to do it. The soil I carried slid off in the shock of the water, clothes and all. It reefed the uncertain tile floor of the pool with our cast away dirt. The dog paddled in circles. Then something turned on. A buzz of machinic vibrato burbled and hissed the water. I did not have to call her then. I followed the dog up-pooling, out-yarded and sub-trellis, re-mucked and guilty in our own plot again, all singe and clay tilled by mounding fire ants. The next time it happened my wife noticed the piston sniff, a certain pause and drag of the snout, and they shrank to muddy sandals thrashing at the lattice. I followed calling, rebirthed as Gauguin’s Tahitian, a patch of ochre on a patio made of sun. My wife and dog tested their wicker with delicious lethargy. I joined them. The naugahyde of the rocking chair cracked in my sway and with closed eyes I imagined us staying all day, uncovering the canvas from the grill that cost more than Lonnie’s molar work last month and cooking out all the specials, until the other metal box crouched in rhododendra, sputtered an adjutant’s call in the key of H/VAC that evacuated us through loam and lattice. One night, not long after, as the dog slept kicking phantom paths, I tunneled the lattice alone to the garden across their lawn, dripping wet with waxing moon. I wanted to add their mud to mine, so nestling into the furrows of their exotic fruits, jicama and pitaya, salsify and romanesco, I pulled one of their gourds from the earth like a buried skull, at the same time, I could hear the sounds of an antiquated modem connection rising from the vacated plug, yesterday’s dinner bell of static doing its adagio in two notes for tin oboes and vitriolas made of sand. I used their pool to rinse the hybrid mud and returned through the lattice with a sadness that only neighbors and foiled thieves could understand. I think I’ll mention to you, my dear readers, about a comment I just deleted. It complained about the “bombast” in this piece, which aggravated a pre-existing condition in the reader whose symptoms include “intelligibility that suffers.” Now you won’t find a more compassionate blogger than myself, but I’m sorry to say that I am no medical doctor (not a medical one at all). I could have said something about the fine line between prose POETRY and flash FICTION in response, but I decided to make a public service announcement instead. ATTN READERS: If the piece above causes you to suffer intelligibility issues, you may want to consult a physician. In particular, ask your doctor if INTELLIGEX is right for you. Symptoms may include appreciation of nuance in literary language and tact in blog replies. Oh snap Michael! What a buuurrrn. You may also want to send some resources his way about a burn center in his area, cause…damn. P.S. I loved this piece! Ha. A burn center. I like that. Its my nursing duty, lol. Very entertaining…and I enjoyed the language. I really love this one…and also now I know how to spell “naugahyde”…thanks! Thanks. I think it’s usually capitalized. I took liberties. Lol someone complained?! I loved your use of vocabulary, and though I don’t know the exact definition of some of the words you used, it wasn’t like it was some med-student’s essay, it was easy to get the meanings from the context of the rest of the surrounding words, which is a skill readers normally develop if they are reading consistly, and is a very basic reading skill. And I loved that you made-up variations of words, it made the writing seem more real, and less like a writing, like something actually being described about something that actually happened, by the character in the story. I make up my own variations of words in conversation, as many people do, and you working that kind of thing into your story made it sound more real. I know you know that, you have written many posts giving pointers on writing, you obviously know what you’re doing. : ) Perhaps the person who complained is not an avid reader, or just hasn’t been exposed yet to a wider variety of writing styles. Anyways, kudos on using the word lattice, it’s one of my favorite words. Weird but true! Thank you. Your loquacity is always appreciated, for in it you build a lattice of ideas for the tendrilling ivy of my thoughts to grow upon. When I read your fiction I am struck by a feeling of abundance; your prose is playful, and densely rich, as I reader I feel you lavish me with sensory detail. Maybe that’s why this commentor wasn’t so kind. Your verbal fluency is so rare, it could be intimidating. It takes a bigness of heart to fully appreciate the talent of others. You’ re very kind. I am humbled by your praise. At the same time, I can’t take it personally. I don’t think it was really about me. I think objections to certain types of writing are subtly political. They are ways of insisting on what SHOULD be written and read, not just about better ways of writing or reading. They are unofficial proclamations from aspiring autocrats, prohibitions from private popes. They’re protestations from pernickety potentates! Sorry, had to join in.